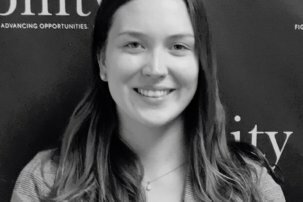 Stephanie Flynt is a Policy Fellow for RespectAbility, where she is helping to create an innovative Community of Practice in Long Beach, California, with the ultimate goal of creating a national model of success while advancing opportunities for the people and community of Long Beach. She also contributes to the Born This Way #BTWchat Twitter chats. In 2014, Flynt mentored with a disability rights advocate in Mississippi, where she gained knowledge and first-hand experience advocating for other visually impaired students in a classroom setting. Her knowledge and experience evolved into a passion that Flynt has continued to embrace as a motivation to continue serving students with disabilities during her college years. She is able to advocate for these students through her roles as a Mississippi State University Student Association Senator and the Diversity and Multicultural Affairs Chairman for Student Association Senate. 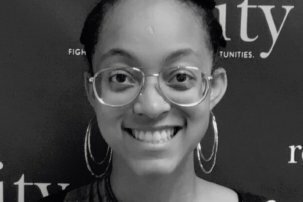 Flynt is from Jackson, Mississippi, and currently is pursuing a Bachelor of Arts in Political Science major with minors in Pre-Law and Spanish from Mississippi State University. Her university’s Alumnus Magazine featured Flynt and her guide dog Nala Belle in the Spring 2017 issue. Read more about Flynt’s experience at Mississippi State University: Thriving on Campus – Disability Support Services Helps Students Navigate Journey Through College Years. 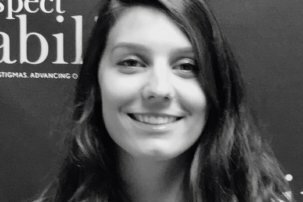 Stephanie Flynt is a Policy Fellow. From Jackson, Mississippi, Flynt is pursuing her bachelors degree from Mississippi State University. She has experience advocating for other visually impaired students in a classroom setting.